Sometimes awareness come to our mind after we experience hardships in life. 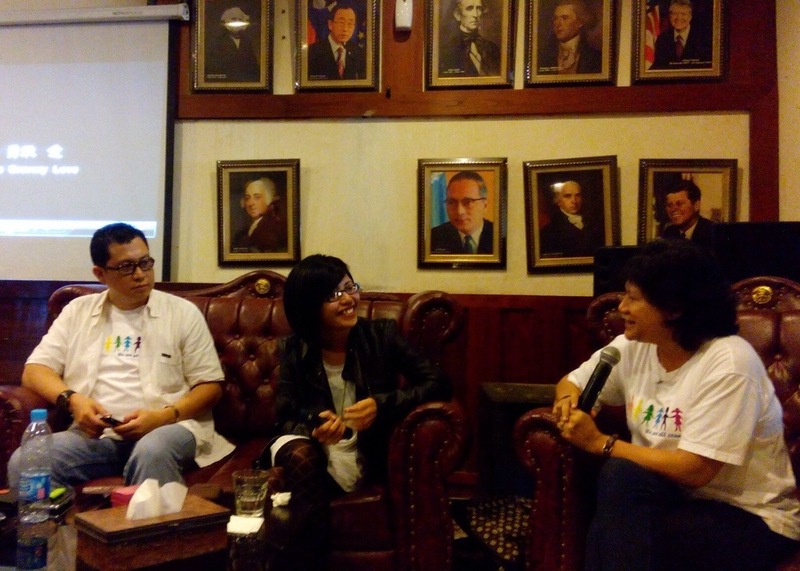 I heard the term ‘Rock & Roll Awareness’ the first time on @Komunitas1111meetup. We were talking about Awareness and one of our friends, @PittaSekar, who just lost her dad to lung cancer 2 months ago, share about the last days of her dad. In her leather jacket, she told the story in cheerful way, no tears or shaky voice. It’s a solid form of Ikhlas. This, is what Rock & Roll Awareness look like. The idea of spirituality at first has come to my life around 3 years ago. Some of you have known what kind of life catastrophe that had happened then, and it altered my life completely. I grow into a completely different person physically, mentally, and spiritually. I guess I’m still myself, just a better person. But I have yet to embrace the idea until recently. I started by sharing my spiritual experiences on my tumblr and now, in the beginning of 2014, I feel the need to show more of my spiritual side on this main blog. While being spiritual doesn’t mean you’re religious, there’s no specific meaning that I hold on to. For me, being spiritual means, you’re curious to know what’s the meaning of your life, what you came here for. From my experience meeting like-minded friends all over the world, I see that spirituality came in different form. I met people who aware that they’re constantly being shown a specific set of number (including me, I got ‘followed’ by 1111 and 114) and started to feel encouraged in the signs of the number. There are people who are spiritual through their mind and physcial activities like through yoga and meditation. There are people who have chosen their gurus but there are also people like me, who felt that every people they met are their gurus. Writing, to me is a form of meditation. So I can reflect on my days, being aware of what’s happened in my life, instead of just let it pass. I can certainly learn from my mistakes so I won’t do that again in the future. I’m preparing a memoir from this thankfully and carefully collected journal from the past. I believe, we were given a set of skills and passion to help support the cause that come with us when we were born. It’s important to have an understanding of what matters to you, does not mean it matters to other people. You can’t force your cause. All you can do is giving the right example. Show your love and passion of what you do to the world, and let people see, inspired, learn and connect with you when they have the same calling. May The Light guides you to the right path. The path that is easier. The path that is fun. The path that is full of love. Setelah Lepas Jilbab, Now What?